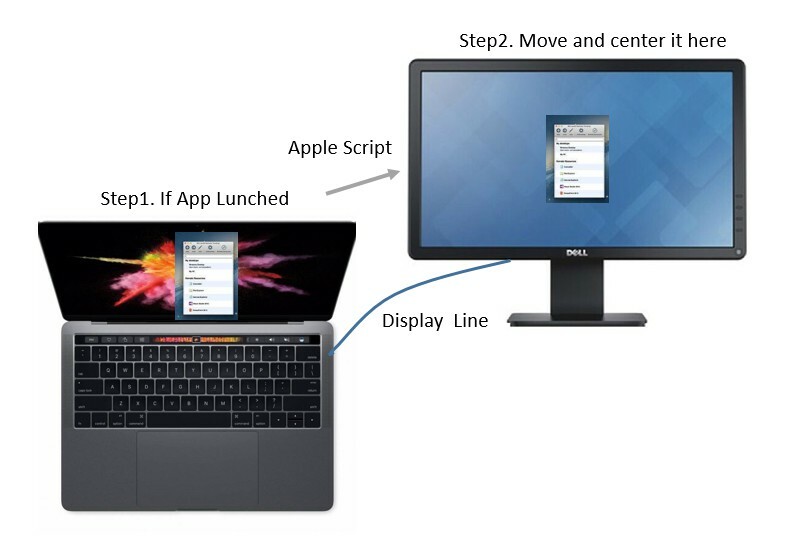 To move Mac App to a second screen when it launches at the main screen/space initially? I hope to use a apple script to move the Microsoft Remote Desktop App (MacOS version) to a second screen, center it(, and click a remote config) when it's been lunched and shown in the main screen automaticly. I tried use the Mac Automation tool to record apple script but failed, could this question be solved by scripting? Browse other questions tagged macos display applescript remote-desktop . How to drop files from Desktop to Finder windows in a sane way? Is there a faster way to restart macOS Sierra into the bootcamp partition?